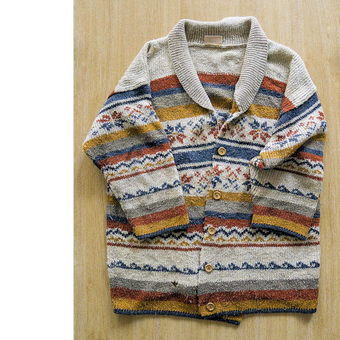 Anita is a qualified chef who chose a cardigan belonging to her Nin, to whom she was very close, as her object. She recalled a special day out they had shared some time ago, during which she had lavished on her grandmother delicious food and other treats. 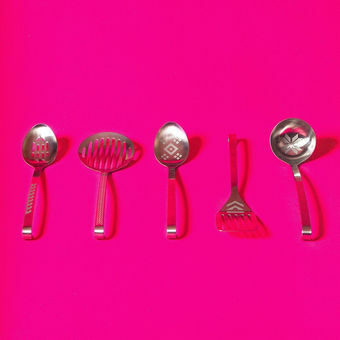 The patterns on the kitchen utensils replicate the patterns on the cardigan, suggesting that, even as Anita was working, her grandmother was present in her thoughts.